Thanks mate. Do pop in from time time. please! that is some house…. nice place you have here too. 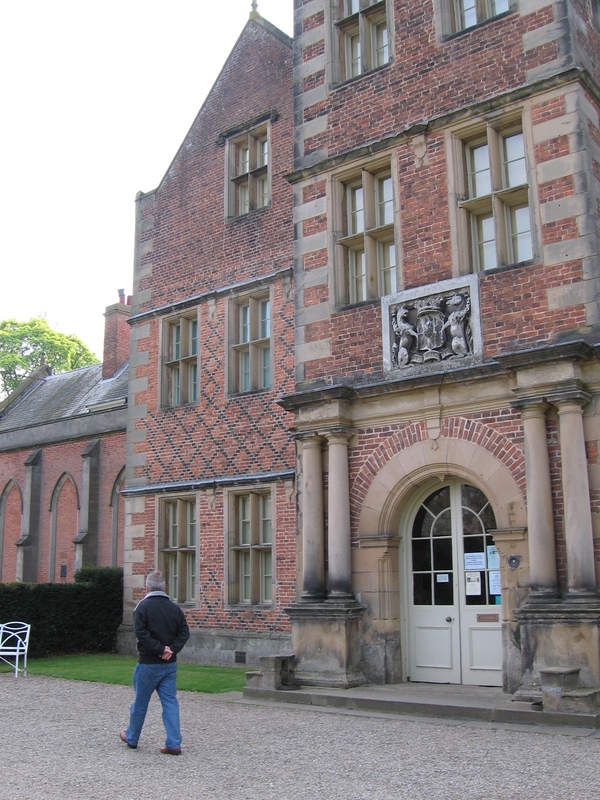 Hi Shane – it’s Kiplin Hall near Richmond in N Yorks. There were a number of flats there used by the RAF during WWII. My parents rented one of them at the beginning of the sixties as Dad had started work on The Northern Echo in Darlington and needed somewhere to live while house hunting. It’s now a private trust/museum type of thing. I get in free cos I used to live there! Still love visiting, although if I’m honest I have absolutely no recollection of having lived there. The old crone who owned the place was reluctant to rent the flat to my parents until she found out that Mum had a grey part-arab mare and was willing to rent one of the stables. Dad still chuckles as he tells the tale of the old lady who didn’t want him there but was persuaded because his wife had a horse! the stables were the luxury part and your folks got the pokey flat – judging from the horsey people I’ve known. I think I might need to sleep. We got the pokey flat alright. Here’s a link with a picture of the very same bath where my mother lovingly bathed me all those years ago. I’m familiar with the books. Did you know horses can “do” up stairs? It’s the down bit they can’t handle! If you’re logged into wordpress, just click on the follow button at the top of the page (on the left hand side next to the like button). new post in about half an hour, coincidentally.